Balrajeshwar Real Estate Pvt .Ltd. Seth Montana is a residential project developed by Sheth Developers and Emami Realty. The project offers well designed 2BHK, 3BHK and 4BHK apartments. The project is well equipped with all the basic amenities to facilitate the needs of the residents. Western Mulund is a major suburb in the state of Maharashtra, which is known for libraries, educational establishments and ever-expanding transportation services. The locality is listed amongst the major railway stations on the Central Railway line of the Mumbai Suburban Railway. The buyers are now showing their interests largely in the suburban localities of Mumbai because of the availability of affordable properties in those areas. In which area is Sheth Montana located?The project is situated in Mulund (West), Central Mumbai suburbs. What size of flats are available in Sheth Montana? The apartment sizes in the project vary from 654.0 sqft to 2022.0 sqft. 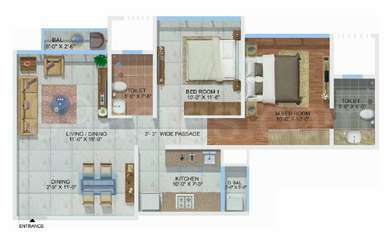 What is size of 2 bhk in Sheth Montana? The area of 2 BHK apartments ranges from 654.0 sqft to 768.0 sqft. 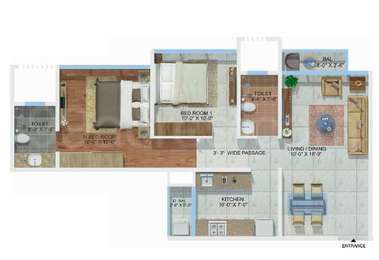 What is size of 3 bhk in Sheth Montana? The area of 3 BHK apartments ranges from 923.0 sqft to 1397.0 sqft. How much is area of 4bhk in Sheth Montana?  The area of 4BHK units in the project varies from 1665.0 sqft to 2022.0 sqft. How much is the actual area of Sheth Montana?The area of the project is 7.0 Acres. Sheth Group an Ashwin Sheth initiative is a well-known name in the realty industry with an identity rooted in unique designs infused with contemporary thinking. Since its inception, the organization has created some of the largest townships, major complexes and tallest skyscrapers through resourceful planning, unwavering focus on quality and customer-oriented designs. er value for a lifetime and even beyond the present generation. Emami Realty was incepted in the year 2006, by Mr. R.S Agarwal and Mr. R.S. Goenka. Since then, they have constructed more than 24 properties in Mumbai city. It has developed a number of projects in joint venture with other real estate builders and has expanded to several other cities like Tamil Nadu, Andhra Pradesh, and Uttar Pradesh. They have a diversified background in developing retail spaces, residential homes and commercial constructions in parts of Mumbai city.